This site was created for the sole purpose of giving an account of George Strait and the "Ace in the Hole" in the early years. The accounts, stories and information is strictly from my personal remembrance of the time and places. If I get a club name wrong or a date wrong, that is not the point. So unless it is something very important, you don;t need to correct my personal story. There are thousands of folks out there that have many more stories, accounts and information on George Strait than I ever wish to know about. If you are one of those people and have a story or pictures of a George Strait event, you can email me at dwd@SoYouLikeGeorgeStrait.com, and I would be glad to post it on a stories page that I will put up. 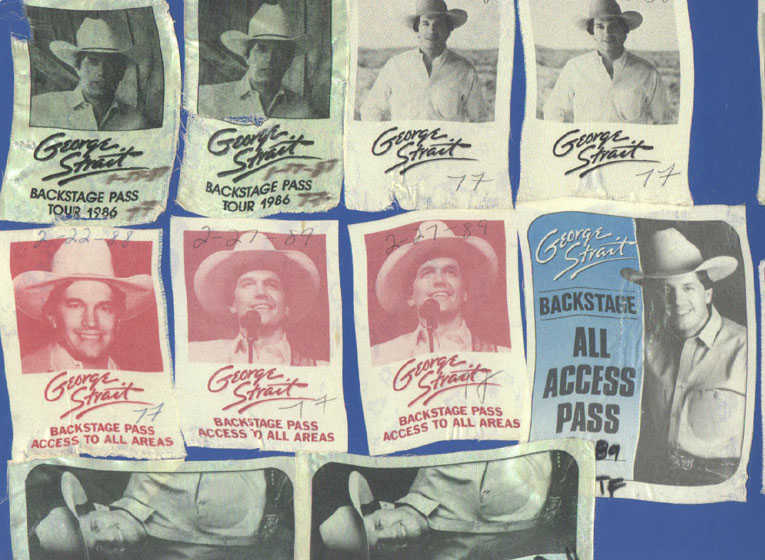 Or go to the link below and registrar on our "So George Strait Forums". There you can post questions or stories and any information you may have. Register and log on to the George Forum and get the discussion going. Ask any questions and I will try to anser them. The "Ace in the Hole Band" got together many, many years ago around the area of San Marcos Texas. The original four members being Mike Daily, Terry Hale, Ron Cable and Tommy Foote. Most if all of the members where in the same band before that called "Stoney Ridge". You can get a schedule of thier appearances by clicking the link below. 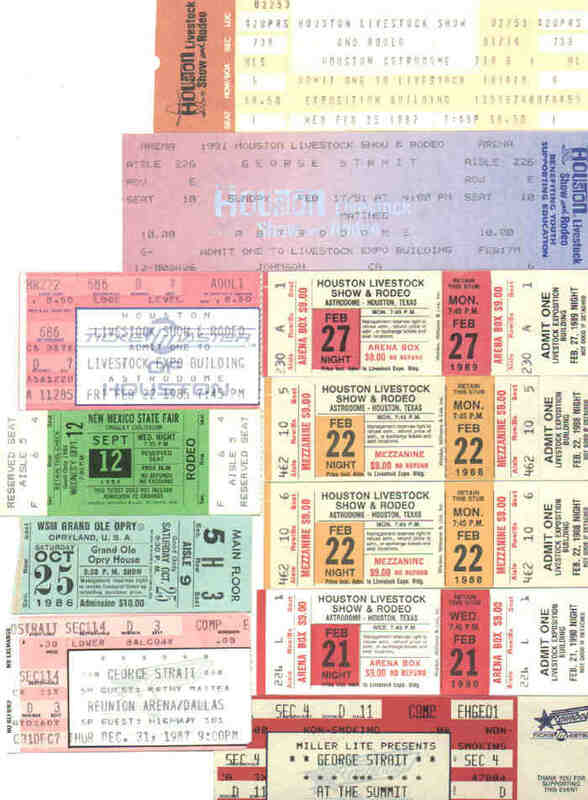 "Ace in the Hole Band Schedule"
It has been a real long time, but seeing George Strait and the "Ace in the Hole Band" at Reliant Stadium in Houston Texas this year was a great show. Along with "Sugarland" it was a great performance. I think is one of the last shows for the year except for a few special appearances. Nashville, Tenn. (April 13, 2010) - Billboard announced today that superstar George Strait has accomplished what no other artist in the history of Billboard charts has - 30 years of consecutive Top 10 hits. With his current single "I Gotta Get to You" jumping from No. 12 to No. 9 on Billboard's radio airplay list, Strait's number of Top 10 hits totals 82 and marks 2010 as the historic 30th year milestone. Billboard writes, "30 years into his unparalleled career, the 'King of Country' shows no signs of abdicating the throne." "It just continues to be one heck of a ride that I'm enjoying every minute of," responds Strait. "Time does fly when you're having fun. Thanks to all of my fans for their support. Long live country music!" Strait landed his first Top 10 in 1981 with his first charting single, "Unwound." With a career spanning more than 30 years, George Strait has the most number one singles of any artist in history including Elvis (57 To Date inclusive of all charts). He has sold more than 68.5 million records and with 33 different platinum or multi-platinum albums has the most RIAA platinum certifications in country music and the third in all genres, behind The Beatles and Elvis Presley. This 1974 video clip was filmed in Memorial Park in Houston Texas by my father, Donald Daily with one of the first models of an actual video camera. The event was for a state representative by the name of Paul Kruger I believe. This camera actually had a microphone on it, but the sound in those days, just was not there. My dad, later re-dubbed the music track on top of the video. Then when I transferred it from VHS to DVD, the sound did not transfer. So I had to go back and try an remember what my dad had done and duplicate it. The video also lost a lot of the brightness after being transferred so much. One of these days I may have to take the VHS to an expert and let them get the exact video with the original over dub on it. That would be sweet.